My deepest burden since becoming a follower of Jesus has been to walk closely with God and to help others to do the same. Jesus’ offer is life. I want life. I want it deeply and I want others to take hold of it as well. It’s not easy. The quest is opposed. Growth is hard, but we must reach for life. After planting a couple of churches, I began to develop a spiritual growth ministry called Entrust Ministries. The name is inspired by 2 Timothy 2:2 “And the things you have heard me say in the presence of many witnesses entrust to reliable men who will also be qualified to teach others.” The world changes through discipleship. One person builds into the life of another person. The gospel and the lessons learned by following Christ are a trust that has been given to us. We are responsible to pass it on to others who will then be faithful to entrust it to still others. Multiplication of transformed lives happens as we engage in this process and the world can change. This ministry is my part. Many are introduced to Entrust Ministries through the blog. 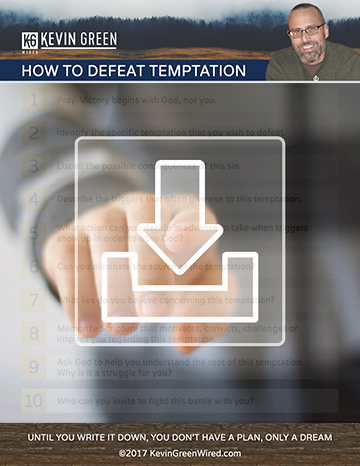 It offers practical help in this quest to follow Jesus. Sign up and you can receive every post in your email for free. My (Kevin) passion is to teach and train. The world is changed through discipleship. I offer teaching, training and consulting for local churches, camps and conferences. If you would like to inquire about me speaking at your event, check out the speaking request form. A new devotional book was drafted in 2018. We will be editing it and looking to share it with you this year. Stay tuned.